If you can figure out how to get here then there are a load of gripping endemics to be seen! Sula Scrubfowl, Meyer’s Goshawk, Sula Hanging Parrot, Moluccan King-parrot, Sula [Maroon-chinned] Fruit-dove, Taliabu Masked-owl, Sula [Moluccan] Scops Owl, Red-bellied [Sula] Pitta, Elegant Pitta, Slaty Cuckooshrike, Sula Cicadabird, Red-backed Thrush, Island Thrush, ‘Taliabu Bush Warbler’, ‘Taliabu Leaf Warbler’, Henna-tailed Jungle-flycatcher, Helmeted Myna, Bare-eyed Myna. Plus a host of endemic sub-species. The eastern Sula island group is made up of three large islands: Taliabu, Mangole and Sanana. None of them have had many birdwatchers visit, largely because they are an adventure to get to! As a result they are still ripe for exploration. All three islands have seen extensive commercial logging over the last decades. While this has led to widespread degradation, it has at least left lots of logging tracks entering the forest. 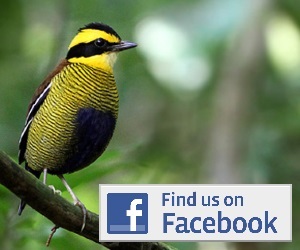 In recent years the few birdwatchers that have been have focused on the area around the small town of Jorjoga on the north coast of Taliabu. From there it is around 5km south-east to a smaller village called Binadesa. This is near the edge of degraded forest and has access, via logging tracks, to forest at higher elevation (where camping is the only accommodation option). Aside from this area, you could try almost anywhere. 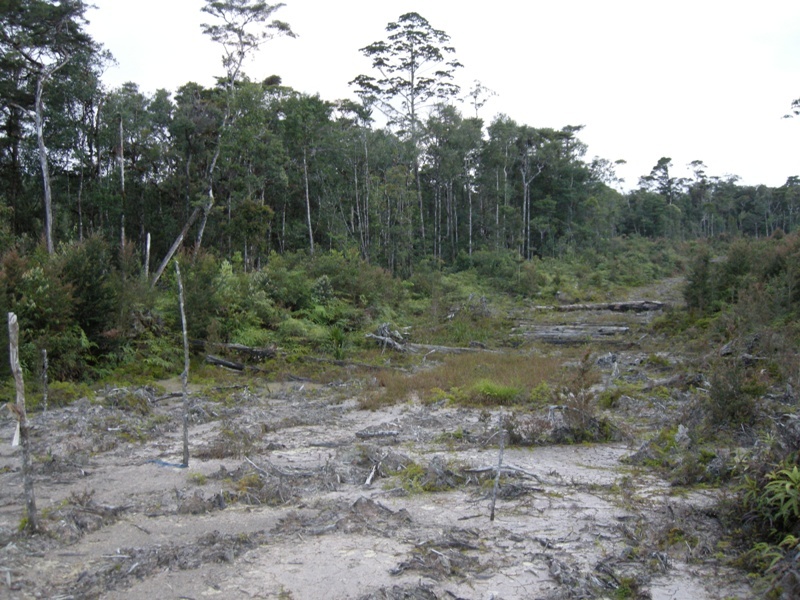 The largest region of intact forest is in the hilly interior of west-central Taliabu. This could, in theory, be accessed from pretty much any coastal village, including behind the larger town of Bobong. The best tactic is probably to travel around the coast asking people about the distance and routes to the good forest. These are notoriously difficult questions to get answers to, but if you ask in the right way you should eventually make some progress! (what is the right way to ask? Anyway that avoids ‘yes’ or ‘no’ answers, as the answer to them is nearly always ‘yes’!). Mangole also has hill forest in its centre, while Sanana is probably the most heavily degraded of the three islands, and the only reason you might end up here is in the process of trying to get to Mangole or Taliabu. 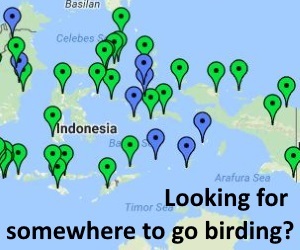 When you have made it to the place, the birds that await include Sula Scrubfowl, Sula Hanging Parrot, Moluccan King-parrot, Maroon-chinned Fruit-dove, Taliabu Masked-owl (few recent records, mostly from degraded lowlands, but also to 900m), Sula Scops Owl, Red-bellied (Sula) Pitta, Elegant Pitta, Slaty Cuckooshrike, Sula Cicadabird, Red-backed Thrush (lowlands), Henna-tailed Jungle-flycatcher, Helmeted and Bare-eyed Myna (the latter commoner in the lowlands, often in degraded habitat). The highest regions of the island also support an endemic form of Island Thrush, an undescribed Bush-warbler, and an undescribed Leaf-warbler! To find info on boat timetables you can try Pelni’s website (for big boats) but for any other company there is probably little alternative than to get yourself to the relevant port of origin and ask there. You should then be prepared to wait anything from hours to weeks for the next scheduled service. Once on Taliabu or Mangole then there is a reasonable network of coastal roads, or you could take to a smaller boat and get around that way. Just ask in one village how you get to the next! For accommodation there are basic places to stay in some of the bigger towns (particularly the port towns) but outside of that you should be reporting to the Village Head (Kepala Desa) on arrival and so can ask them for assistance in finding somewhere suitable to stay. If you visit active logging concessions you should also report to the site manager, and get permission to enter.